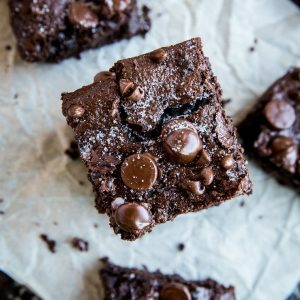 Paleo Vegan Fudge Brownies that are gluten-free, sweetened with coconut sugar, and made egg-less with a flax seed egg replacer. This simple recipe is made quick and easy and also includes a Keto option. 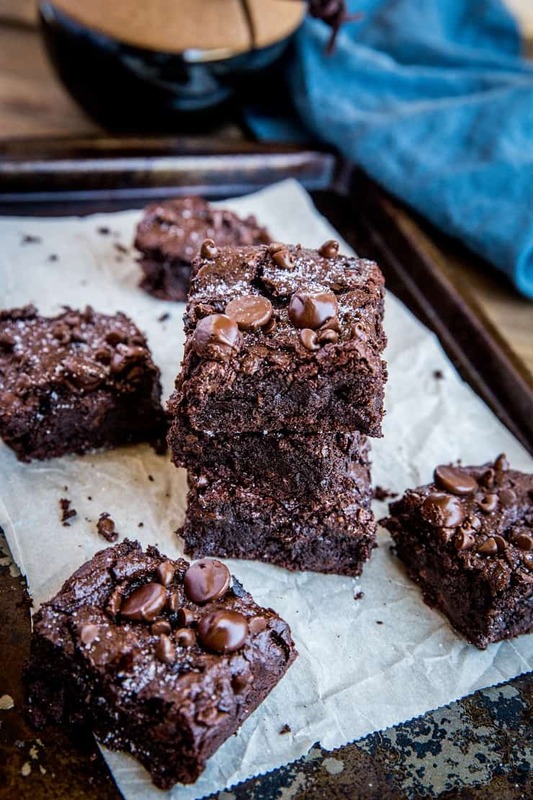 When I try to describe these paleo vegan fudge brownies intelligibly, I’m almost at a loss for words. 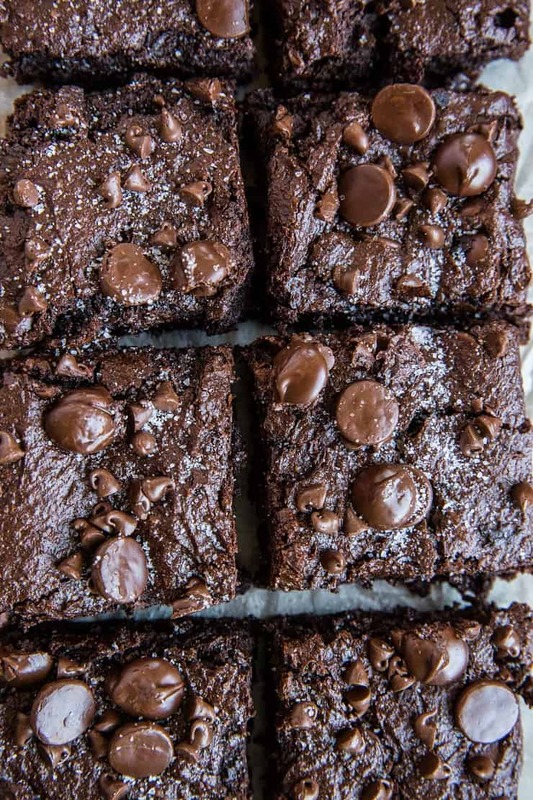 These vegan brownies are rich, decadent, chewy on the inside with the perfect thin layer of crisp on the outside, and taste like a browniegasm is exploding in your face. They are – in a word – SULTRY. …which would be amazing enough if these brownies were your standard sugar, wheat, and butter-laiden brownie, but you guys, they’re not! Sprinkled with sea salt for that salty-sweet hyperpalatable bliss. Protein-packed with both almond butter and almond flour. Don’t tell the other brownies I said this, but…this is my favorite brownie recipe I’ve made so far. 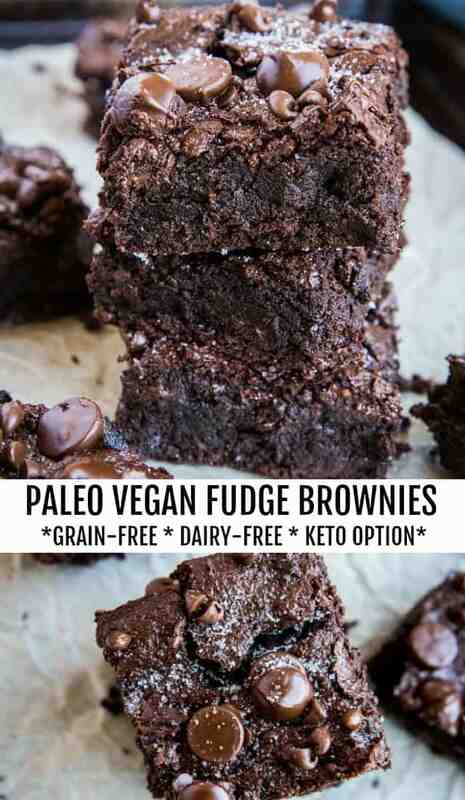 I’ve been in hot pursuit of perfecting a brownie that is both paleo and vegan, and I daresay, these are surely they! 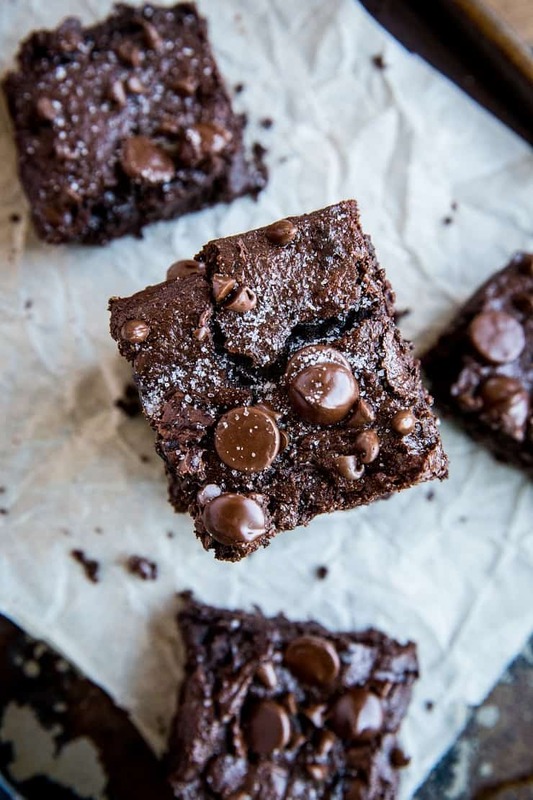 These are the brownies you make when you’re craving ALL THE CHOCOLATE IN THE WORLD and will not be satisfied until you feel as though your body is calmly submerged in a vat of creamy-smooth-buttery-sweet deeply rich chocolate paradise. Or am I the only one here who craves such sensations? Bueller? We make a couple “flax eggs” to replace regular eggs (don’t worry if you’re new to flax eggs – all you need is ground flax seed…I’ll walk you through the rest in the recipe card below). We use almond butter (or cashew butter) as a binding agent and fudge maker. Just be sure whatever nut butter you use is pre-stirred, as the ones that come separated may be too thick. …which combined with the coconut oil makes for an incredibly silky-smooth fudgy experience. Instead of wheat flour, we use almond flour. We double chocolate-it-up by using vegan chocolate chips. Note: I had non-vegan chocolate chips on hand, so I used them but be sure to choose the chocolate chip product you’re comfortable using. Simply beat everything together in a stand mixer, then transfer it to a parchment-lined pan. Bake it up, sprinkle it with sea salt, and you’re in for one incredibly chocolatey experience. Replace flax “eggs” with chia eggs. Use cashew butter, walnuts butter, peanut butter, etc. in place of almond butter (just make sure whatever nut butter you use is pre-stirred and not overly thick). Swap almond flour with hazelnut flour. To make low-carb and Keto, replace the coconut sugar with zero-sugar sweetener. Replace the vegan chocolate chips with your favorite dark chocolate chips or chunks. Use avocado oil or almond oil instead of coconut oil. Preheat the oven to 350 degrees F and line a 9" x 5" loaf pan with parchment paper (or spray with cooking spray). Start by preparing the flax "eggs." Stir together the ground flax seed and water together in a small bowl. Allow mixture to sit, stirring occasionally, until thickened and the consistency of beaten eggs, about 15 minutes. Transfer the flax "egg" mixture to a stand mixer, along with the almond butter and coconut oil. Beat until well-combined and creamy. Add the remaining ingredients and continue beating until well-combined. The batter will be thick and slightly crumbly - this is normal. Transfer the brownie batter to the prepared loaf pan and smooth into an even layer. Bake on the center rack of the preheated oven for 30 to 35 minutes, until set up. Remove from the oven and allow brownies to sit for 30 minutes before releasing them from the loaf pan. Sprinkle with sea salt (if desired), cut into squares, and enjoy. *Replace coconut sugar with zero-calorie sweetener such as Swerve, Monk Fruit Sweetener, or Stevia to make recipe Keto. Use sugar-free chocolate chips to keep Keto. Have you actually tried the Keto version and what brand of chips and sweetener do you endorse? 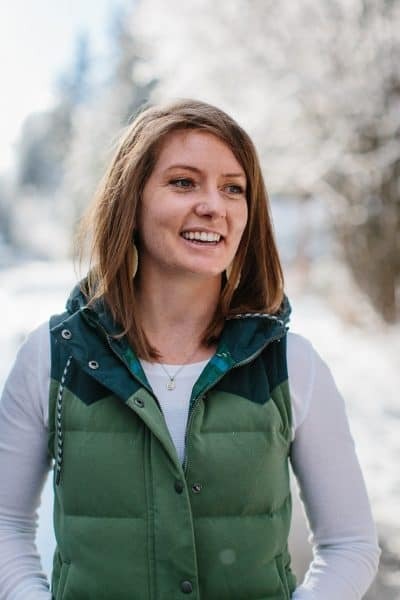 My 20 yr old daughter is trying to go Keto I and I want to help her! The transition is hard and brownies might help. What is the texture of the batter supposed to be like? My Vitamix could barely handle it, had to keep stopping to stir it and then use the tamper the batter was so thick and almost the texture of a thick nut butter. Don’t think a regular blender could handle this, there is not enough liquid! Was your almond butter pre-stirred or was it super thick? I’ll add instructions for mixing the brownies by hand for those who don’t have a powerful blender. I made these wonderful brownies yesterday, adding 2 tsp cinnamon and replacing the chocolate chips with a combo of chocolate chips, candied ginger and dried cranberries and only using about 1/2 cup sugar. 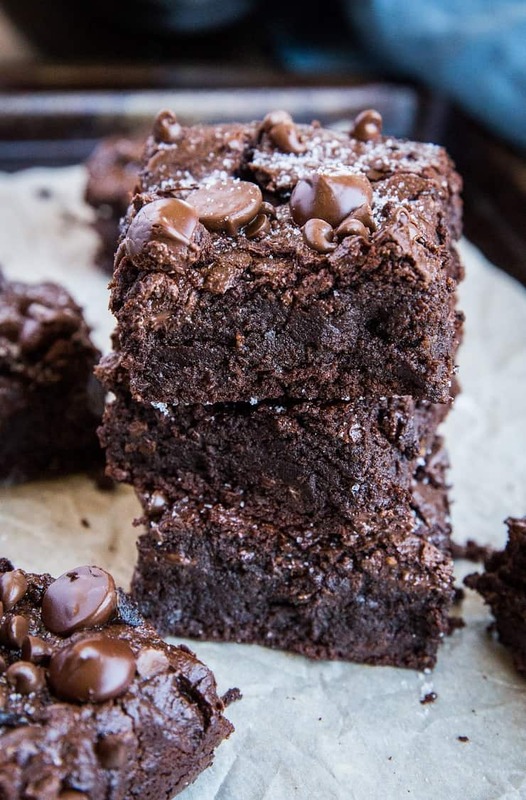 Oh my word but these brownies are dark and delicious like my favorite dark chocolate bar. Yum! I only needed 1/4 cup of melted coconut oil. You have a typo when you said to mix with “Blender” — you mean a stand mixer right? This batter does not blend well in a Vitamix, as one commenter stated. I ended up just using a spatula to mix by hand. Super easy! Thanks! That recipe looks amazing! I want to do that! 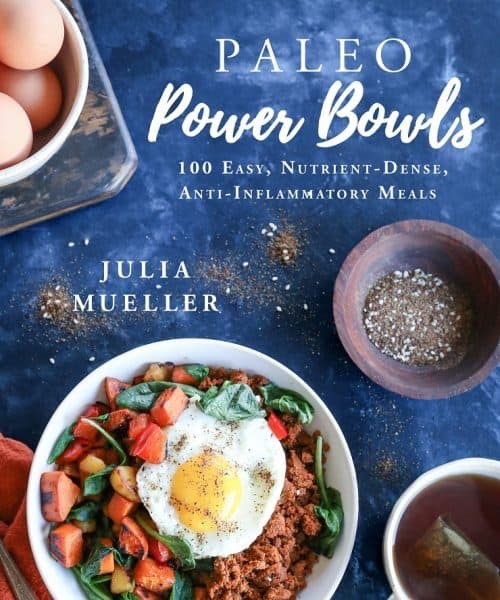 I have celiac disease and I mostly eat paleo but I am not vegan and I would like to know how many actual eggs I could use instead of the flax eggs? Would you still put some water in it or not? Hi Elaine! Replace the flax seed and water with 2 eggs! They should turn out lovely! Hi, do you think I could use aquafaba instead of flax egg? Also, what if I wanted to use regular sugar?